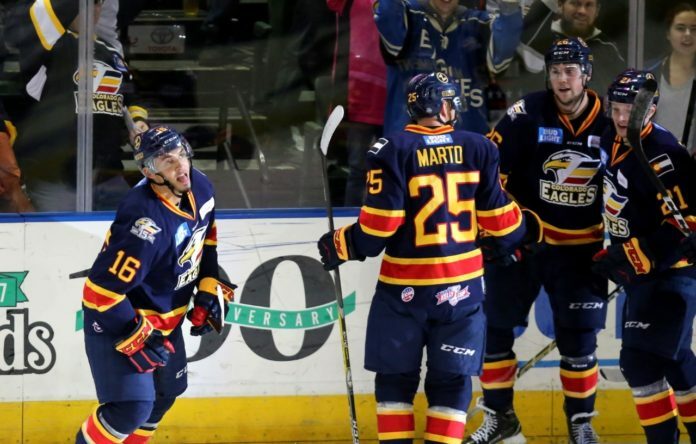 With the Colorado Eagles closing out their final regular season as a member of the ECHL, a memorable end is the focus to the league they’ve called home for years now — by repeating as Kelly Cup champions. Finishing with 104 points and clinching the Mountain division, the Eagles will be set to take on the Wichita Thunder in the first-round of the ECHL Kelly Cup playoffs. 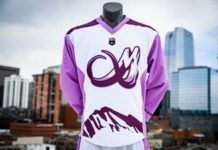 How can they repeat as Kelly Cup champions? In order for the Eagles to repeat as Kelly Cup champions, they will have to rely on their style of play to lead them to success — a style that is both gritty, and highly skilled. The Eagles are a team capable of wearing down an opponent down the stretch of a best-of-seven series with their smash mouth style, and this will have to be utilized through the entirety of the playoffs. What can stop the Eagles from repeating in their final season? Although cliché, it remains true that teams who are hot streaks are capable of having long runs in the playoffs. If the Eagles are to play outside of their identity and run into a team who is catching fire at just the right time during the playoffs, then the Eagles could be pushed to the brink of elimination. Who are some players to keep an eye on? With the Eagles beginning the playoffs this weekend, the Eagles will be looking at added players to make an impact, as well as the usual customers who played a large role in the Eagles being one of the top teams in the ECHL this season. 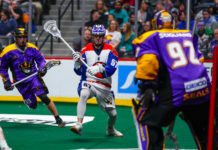 Coming over to the Eagles after a solid season with the San Antonio Rampage, Meloche will provide the Eagles defense with a smart player who will increase overall depth of the Eagles squad. Known as a versatile two-way defenseman with a high hockey IQ, Meloche can assist all over the ice, including the offensive zone where he provides a heavy shot from the point. 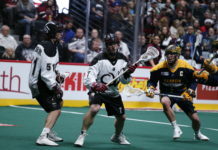 Coming off of a successful season with the Ottawa 67’s of the Ontario Hockey League (OHL), the newly signed forward of the Avalanche and the Eagles will look to make an impact for the team during the playoffs. Finishing with a career-best 57 points with the Ottawa 67’s, Barron will provide another offensive weapon for this deep Eagles team. Fans can expect Barron to continue to push the pace for the Eagles, and making key offensive plays during the duration of this series against the Wichita Thunder. With the San Antonio Rampage failing to qualify for the AHL playoffs, the Eagles will see the return one of their top offensive talents for the playoffs with Michael Joly returning to the lineup. Splitting plenty of time between the Rampage and the Eagles, Joly would end up registering 67 points in 52 games for the Eagles — leading the team in points and finishing the season in the top 10 in the ECHL. With Joly in the lineup, the Eagles cap off a stacked offensive lineup for the playoffs. Recently winning his second consecutive ECHL Defensemen of the Year award, the two-time Kelly Cup champion is an important piece for the Eagles if they hope to make it far into the Kelly Cup playoffs. As one of the leaders of this Eagles squad, Register will look to lead on and off the ice during the duration of the playoffs. Finishing the regular season with 65 points, Register will provide the Eagles with a defensive talent who has a knack for his strong offensive talent. Known as an excellent puck moving defenseman, Register will quarterback the Eagles power play throughout the playoffs. If the couple of games with the Thunder near the conclusion of the season are of any indication, fans can expect a high scoring series between these two Mountain division rivals — with the Eagles utilizing their in-your-face style of play, and offensive talent to try to advance to the second round. The Eagles will kick off their first-round series against the Wichita Thunder on Sunday in Wichita.